Matt joined AllCare Physiotherapy in 2009 after a successful decade practicing in the U.K. He has worked extensively in elite sport and attended the 2008 Olympic Games with the British Track and Field team and the 2012 and 2016 Olympic Games with Athletics Australia. In 2015 Matt completed the Australian College of Physiotherapy’s Specialisation Training Program, becoming Tasmania’s first recognised Specialist Sports Physiotherapist. Matt has a particular interest in running and sport related injuries, with a focus on trunk, pelvis and lower limb rehabilitation. He has a passion for local, community based sport and can regularly be seen on a volleyball court or supporting from the side lines at junior and senior soccer games. He is a keen seakayaker and bushwalker and between work and family commitments tries to stay as active as possible. Maria has over 25 years’ experience as a physiotherapist, working in Canada and Melbourne before settling in her native Hobart. She is a founding Director of AllCare Physiotherapy. Maria has a strong interest in managing shoulder injuries and pain and continues to attend regular post graduate courses and conferences throughout Australia to remain at the leading edge of current best practice. 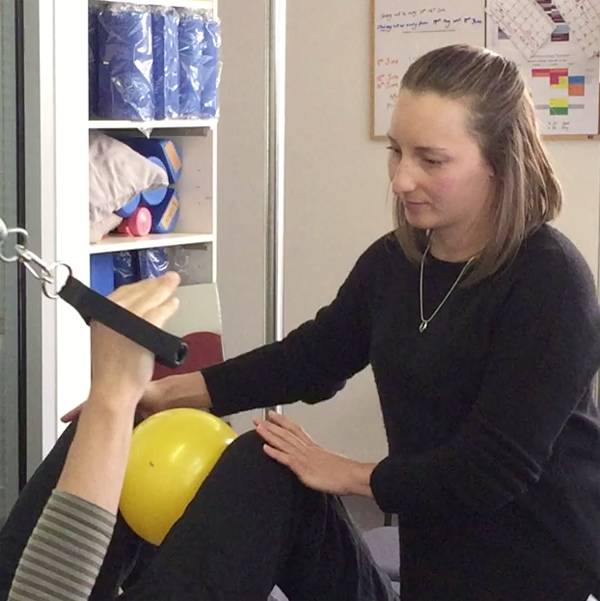 Maria is well known in the Tasmanian physiotherapy and medical community and is a strong advocate for the broad role physiotherapy plays in the health system. Following graduation in 1992, Phil gained experience working in both acute and rehabilitation hospital settings in Melbourne and Hobart. Since 2000 he has provided dedicated private practice Rehabilitation Physiotherapy services, utilising education and movement based therapy to engage, motivate and empower clients to optimise their health and function. Phil is a mentor and educator with Polestar Pilates, teaching courses throughout Australia, and over the past decade has integrated Pilates training into his work with clients with a range of conditions, including neurological disorders, persistent pain, vestibular balance disorders and general deconditioning. He also provides Neuroscience lectures to Movement Science students at the University of Tasmania. B.App.Sc (Physiotherapy), Masters of Physiotherapy (Manipulative Physio), Grad Cert Continence and Pelvic Floor Rehabilitation. After completing physiotherapy training in Melbourne, Jason undertook a clinical Masters at the University of Queensland, before embarking on a career that has provided more than 20 years’ experience working across Australia and the US. 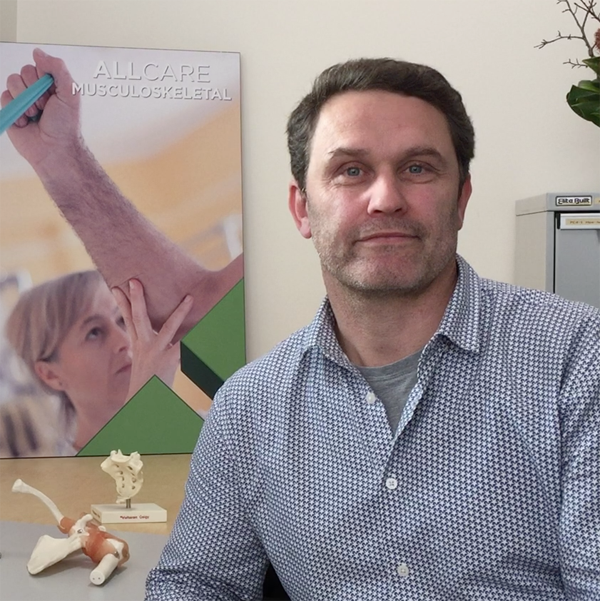 In addition to his clinical work at AllCare, Jason is currently undertaking PhD studies at the Menzies Institute for Medical Research into musculoskeletal foot pain. His areas of clinical interest include foot and ankle pain, spinal pain, headache and temporomandibular joint dysfunction. Outside of his commitments at AllCare and Menzies, he stays busy trying to keep up with an active wife and three equally active children. He loves studying and learning, but occasionally also finds time to bushwalk and mountain bike through Tasmania and ski in Japan. Stephanie has a special interest in paediatric physiotherapy, working with children and adolescents with a range of disorders and musculoskeletal conditions, including hypermobility syndrome. She developed AllCare’s Fundamental Movement Physiotherapy Program and delivers various exercise based classes. In addition to private patients, Stephanie provides services under the NDIS and BetterStart funding programs. A successful gymnast and triathlete, Stephanie also enjoys helping adults overcome sporting injuries and takes great satisfaction in seeing both children and adults achieve their exercise goals. She leads a number of AllCare’s Clinical Exercise classes and pioneered our Running Exercise Class. Stephanie continues to keep fit exercising outdoors and walking her dog, Sway. 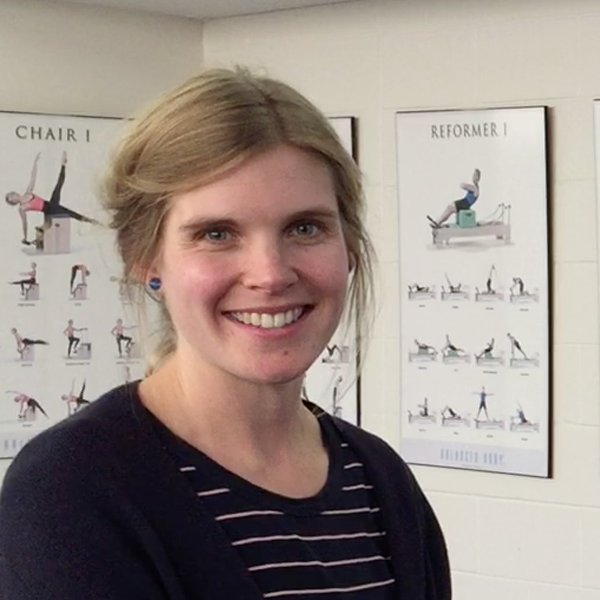 Amy has been a physiotherapist for over a decade and an accredited Polestar Pilates instructor since 2013. She joined Allcare in 2012 and has developed an interest in spinal pain and pregnancy and postnatal issues. Among a number of Clinical Exercise classes, Amy leads tailored pre and post-natal groups, providing professional guidance to help women safely return to a healthy, active life. Amy regularly practises Pilates and yoga and takes a holistic approach to health and wellbeing. She enjoys kayaking, bushwalking and trail running. Diploma of Professional Pilates Instruction. 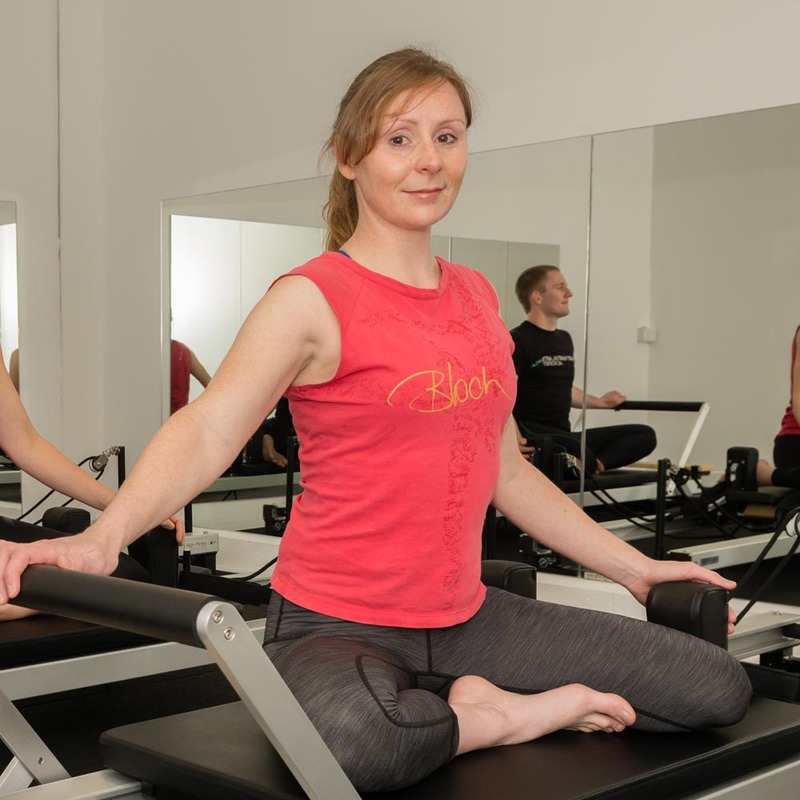 Stacey completed her initial Pilates training with Polestar Pilates Australia in 2010 and went on to gain a Diploma of Professional Pilates Instruction in 2012. Through delivering a range of Pilates classes at Allcare, she has developed a passion and expertise in assisting clients to move well and improve their health and fitness. Stacey continues to be actively involved in Pilates education and is a Mentor-in-training with Polestar Pilates Australia, assisting on Pilates Instructor training courses in Tasmania, as well as mentoring current students enrolled in the training program. When not busy at AllCare, Stacey enjoys a relaxed beach life and indulging in her passion for travel. 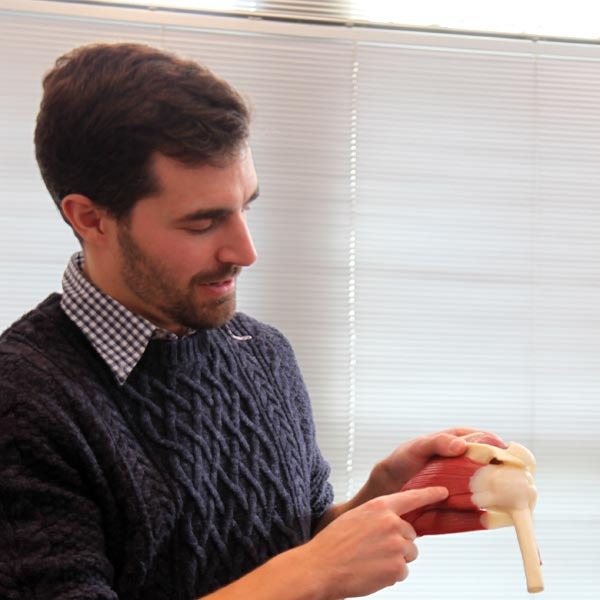 Ross has a broad focus on musculoskeletal physiotherapy, including spinal pain, persistent pain conditions and balance and dizziness disorders. Since graduating from the University of South Australia and joining Allcare in 2014, he has pursued a range of post graduate education opportunities which continue to extend and inform his clinical practice. Ross has a long history playing and coaching volleyball which helps his understanding of the challenges faced by younger athletes. When not spending time with his young family he remains heavily involved in the local volleyball scene. Chrissy returned to Hobart in 2016 after 11 years working in Sydney and Melbourne. She has extensive experience working with a variety of sports and in 2017 was team physiotherapist for the Australian Stingers at the women’s world water polo championships. Chrissy’s passion lies in treating all sporting injuries, particularly shoulders and running related injuries. She has a background in strength and conditioning as well as yoga and leads a number of dynamic classes at Allcare Physiotherapy. Chrissy is very active within the physiotherapy profession, having completed her Masters in Sports Physiotherapy through La Trobe University, sitting on the Tasmanian branch boards of the Australian Physiotherapy Association and Sports Medicine Australia and helping to coordinate Tasmanian professional development activities. In her spare time, she enjoys exploring Tasmania’s scenic locations and has been known to tinkle the ivories. Kim joins the AllCare team with a background in orthopaedic and neurological physiotherapy and advanced training in assessing and treating balance and dizziness disorders. She is passionate about helping people to improve their movement, balance, strength and functional ability. When she’s not at work or enjoying a good cup of tea, Kim enjoys outdoor sports such as bush walking and rock climbing. 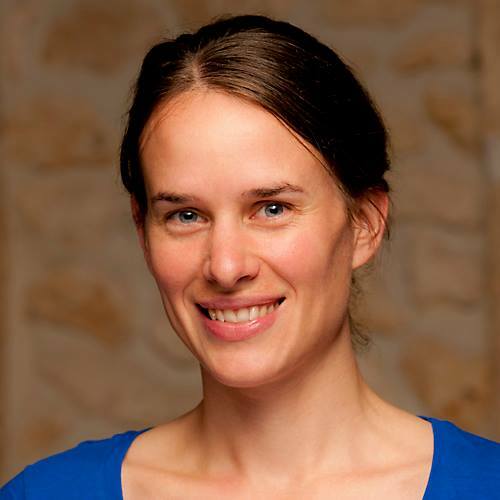 Sarah has been a qualified mat Pilates practitioner since the 1990s. 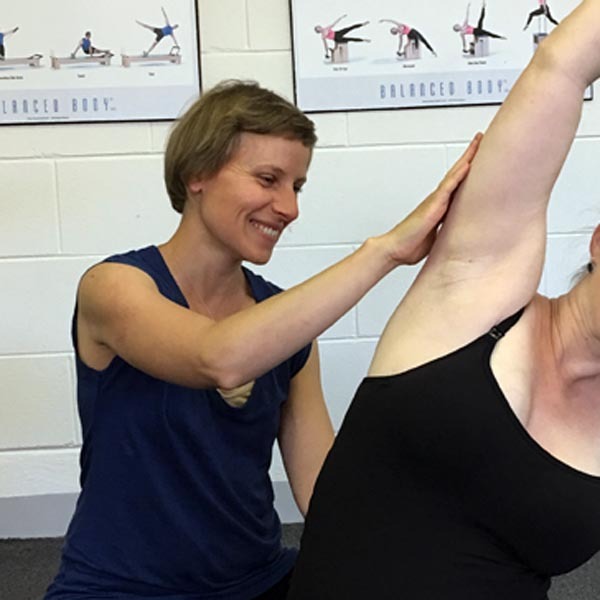 After 15 years working in conservation science and management, she decided to pursue a full time career in movement therapy after seeing the benefits of studio Pilates for correcting muscle imbalances and injuries. Sarah is also a qualified personal trainer and group fitness instructor, and has been working in the Hobart fitness industry since 2015. When not at work, Sarah loves to challenge herself physically, enjoying rock climbing, Muay Thai Kickboxing, Brazilian Jiu Jitsu and bodyweight training. So look out! Hailing from Dublin and studying in Edinburgh, Simon brings a touch of the blarney to the AllCare team. 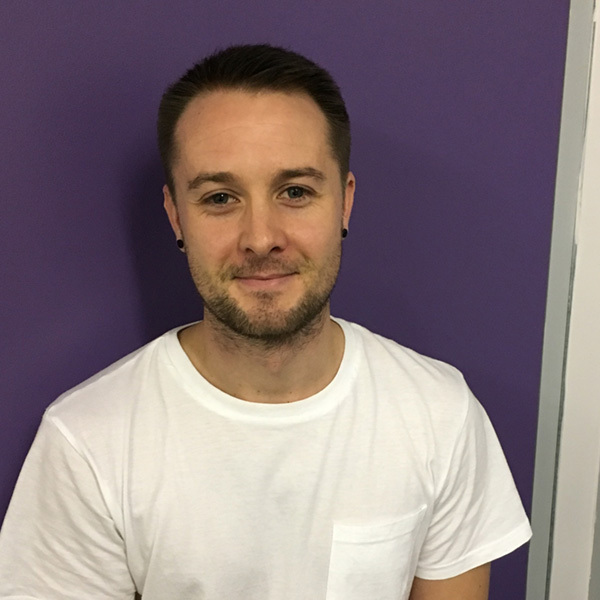 After working across the UK and Ireland, Simon relocated to Tasmania in 2015 to fulfil a desire to work as a physiotherapist in Australia. The move has paid dividends, as he has been able to pursue his passion for private practice physiotherapy, with interests in a broad range of musculoskeletal, rehabilitation and sporting patient groups, including having supported the Tasmanian Women’s Hockey Team. Simon is a keen soccer player and golfer and has played both to a high level. He tries to stay as active as possible and is immersing himself in Tasmania’s great outdoors whenever he can. And when the swell’s up and the breeze is offshore, he can even be found dipping his toes in the cool Tasmanian waters as he seeks to integrate himself fully with the hardy local culture!